Whether you have a large or small business, your customers are all a little bit different. You may have identified the needs of your particular audience, but you can go even further and segment your audience to provide personalized digital marketing experiences. You don’t have to do this, but if you don’t, you’re not giving your consumers the experience they deserve. This leads to not driving as many sales as you could, and nobody wants to do leave money on the table. Let’s look at some actionable tips that will demonstrate how anyone can get started with personalized digital marketing ads, as well as personalized marketing experiences for their audiences. Get ready to take your consumer experience rating to the next level! Before starting any new marketing or business endeavor, I always recommend strategic thinking and planning. The strategic thinking of personalization involves defining your audiences, and building your segmentation. My segmentation has a twist. I’m not just talking about segmenting your customers on classical demographic data (third-party data). I’m talking about segmenting based on actual engagement with your site (first-party data). 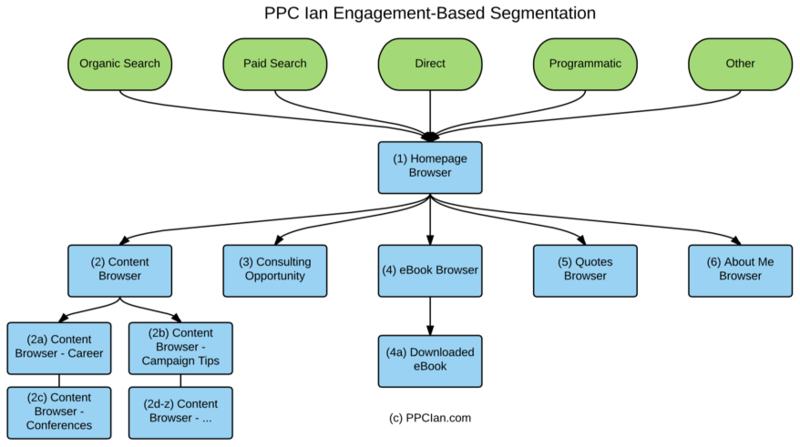 In order to illustrate how this is done, I have included an engagement-based segmentation of my own blog, PPC Ian. Here’s how I do it. Segment 1 are my general Homepage Browsers. These consumers reached my blog and then left without going any further. They could have visited my blog multiple times, but never got further than my homepage. Of all my audiences, this is the least precise one. Based on their engagement with my blog, I don’t know too much, so I’m only going to be able to offer them a very generic marketing experience. Segment 2 gets more exciting. Here, I’m talking about Content Browsers. Content Browsers took the time to read specific posts. I have broken Segment 2 into multiple Sub-Segments (2a-2z). I have organized my content based on category, although you could get even more granular and sub-segment based off WordPress tags. Because these consumers went into specific posts, I know they type of content they consumed. The person who spent a ton of time reading posts about careers, for example, could get targeted with an ad speaking specifically to digital marketing career advice. Segment 3 is a big one. These are consumers who went to the Consulting Page. As someone who highly values the opportunity to provide strategic consulting, these are golden leads. Because these consumers took the time to read about my consulting, I have the opportunity to target them with an offer for my consulting services. Perhaps I could even offer a discount or special. Segment 4 are those who browsed my eBook page, and Sub-Segment 4a are those who downloaded my eBook. Downloading my eBook requires an email address. Because these consumers downloaded my eBook, I know they’re interested in careers (that’s the theme of my eBook). Because they also offered their email addresses, I’m able to engage them in a personalized manner via multiple marketing channels: retargeting, email, Facebook Custom Audiences, and Google Customer Match (I’ll talk more about these later). Segment 5 are those who went to my PPC Ian Quotes Page where I offer motivational business quotes. I’ll be sure to personalize content towards these consumers with quotes. Finally, Segment 6 are those consumers who visited my About Me page. These are the folks interested in learning more about yours truly. Not really sure how I’ll end up engaging these consumers, and that’s an audience I’ll leave for another day! For now, they’ll just default to the same experience and creative as Segment 1, and that’s ok. You can’t figure out every segment from the beginning. Content consumed: Make sure to tag all of your content, breaking it into different categories. Remember how I segment those that consumed my career posts differently than those that read my campaign tips? Data entered: Did the consumer tell you anything about themselves? This gets really interesting with lead forms. While I don’t have any on my blog, I might just add one. An example: I could ask consumers their advertising budget per month on my consulting page, and give a bunch of spend tiers as radio check boxes. All prospects are valued, but they have different needs, and would therefore receive different marketing creative. Items added to shopping cart: Keep reading, I have a really neat example of this from Nike below. If your website has a shopping cart, make sure to segment your consumers upon the items added to their cart. 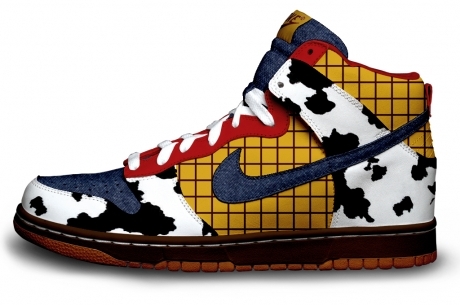 You will want to craft a different approach for someone buying shoes vs. apparel, for example. New customers vs. existing customers: Perhaps you want to offer an existing customer tips on how to better utilize your product. New customers, however, may prefer to see a coupon code, since they have not yet made their purchase. In your brainstorming and segmentation phase, be ambitious. Include all possible segments. 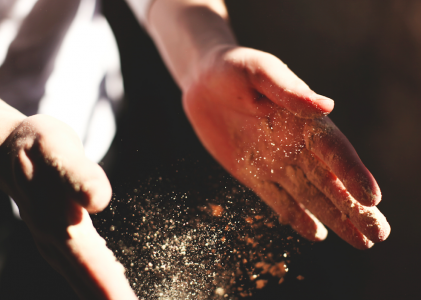 You don’t want to change your segmentation later since it will become the foundation of your marketing (and other parts of your company as well). When you first start building campaigns, you will of course focus on the immediate opportunities. Eventually, you will build custom marketing for all segments. Plan ahead! Using my own segmentation, for example, I have not really thought through my approach for Segment 6, About Me browsers. That being said, I wanted to carve out that segment because I know I’ll eventually have time to think through a specific personalized strategy for those consumers. How do you create personalized marketing? One of your best and easiest levers is the Retargeting (Remarketing) channel. Retargeting allows you to target consumers who have visited your website with personalized display advertisements anywhere on the Internet. Here’s an example. I’m a big fan of running and really like Nike running shoes. I was recently on Nike’s website exploring their Air Vomero running shoes. I left Nike without making a purchase. Later, while reading some news on Yahoo! 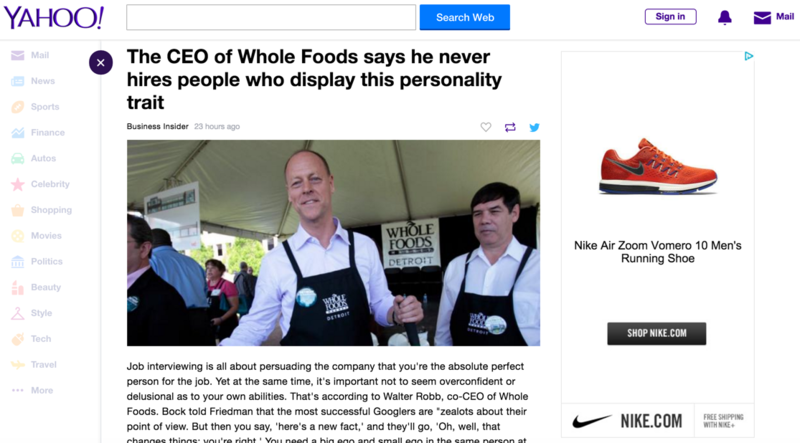 I noticed a personalized retargeting banner featuring the very shoes I was browsing on Nike. Thanks, Nike, for the valuable and personalized retargeting experience! Want to be a great advertiser like Nike? In my opinion, the easiest place to start is Google Analytics, Google’s free web analytics platform. When you install Google Analytics on your site (it’s easy, you just place a snippet of code on each page), you get valuable insights about your audiences and the ability to create remarketing lists. Implement Google Analytics (linked with your AdWords account), if you have not already, and then create corresponding Retargeting lists for each of the segments defined under Tip 1. Want to learn more? I recommend checking out Google’s free tutorial on creating remarketing lists. Why would you do this? I have found that the different lookback windows perform differently from a cost of acquisition standpoint. By sub-segmenting on lookback window, you add the ability to bid up your best lookback windows and bid down your worst lookback windows. 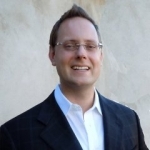 Another use case: Do you sell a service that must be renewed annually? Perhaps you offer a tax service? Those who purchased from you today should be retargeted a year out, when it’s time to do their taxes again. Make sure your banners offer distinctive value customized to the segment in question. Remember the Nike example above? This is the perfect example of an ad customized to me (the person shopping for Air Vomero running shoes). When you’re just getting started, your banners will likely be static (as opposed to dynamic). The static version of this same ad may just show generic Nike running shoes. It may not show the exact shoes I looked at, and would not have a carousel of shoes. It’s ok to start static and then graduate to dynamic later. Oh, look. They even gave me a discount. I’m getting a lot more interested in buying these shoes! The important thing to remember is that you use those segments to inform both your creative and your landing page design. Once you have the basics down, you can start experimenting with more advanced creative and landing pages — ones that are highly interactive. Perhaps your banner offers a multiple choice question. Based on the consumer’s response, you automatically know more about that consumer — you’ve got valuable information that will help you determine their segment. Consumers who click “Get a Quote” likely belong to a new, prospective customer segment. These customers are actively getting quotes, and are new leads. By contrast, those who click “Get 24/7 Customer Service” are likely existing customers. They have an existing relationship with Esurance and need help. Just by clicking these sitelinks, Esurance knows so much about the consumer’s needs and can therefore provide more customized and relevant content marketing experiences. Incredible personalization is always easiest with existing customers. Why? You have more touchpoints with existing customers. In addition to display advertising (as illustrated via the Nike example earlier), landing pages/website, and search (as illustrated via the Esurance example earlier), you are able to connect with existing customers via email, direct mail, and other advanced channels that will not be discussed in today’s post (Facebook Custom Audiences, Google Customer Match, and phone/text). That being said, there is an intermediate step between prospect and existing customer, the lead. Someone who is your lead has provided some personal information, such as their email address, but may not yet be a full customer. Because you have their email address, you are able to provide leads incredible content marketing value through your segmentation and personalization engine that you’ve developed from the tips above. Let me just say this: turn prospective customers into leads as soon as possible! Once you capture a potential consumer’s email, you can provide a much more holistic and customized marketing experience across every channel. There are many clever ways to capture emails, but one of my favorites is offering something of great value. Now that they’ve captured that email address, they can start sending emails to that lead based on the interest expressed when they downloaded the ebook. It’s a great strategy for creating personalized marketing experiences. The marketing organization is evolving. At larger companies, I see a new role emerging: the marketer who owns the customer segmentation across the entire company. In other words, the marketer who works cross-functionally to roll out new segments across all channels (working with specific channel owners and related departments). Let’s illustrate this via example. Let’s imagine PPC Ian is a bigger company. Let’s imagine that I own the segmentation and personalization for our entire company. I’m the CMO, but someone else runs the product (the actual website), another person owns the content (the actual posts), and yet another person (on my team since I’m the CMO) owns retargeting and email campaigns. As mentioned previously, Segment 2 (in my segmentation scheme) covers content browsers. Based on market data, I see a clear opportunity to create a new sub-segment under Segment 2 called 2d, ‘Investing Content Browsers.’ This new segment never existed before, but my segmentation is built in a way that makes introduction of new sub-segments simple. In making my new Investing Content Browsers segment a reality I need to work across product (to get landing pages and website enhancements), content (to get posts and creative built), and marketing (to get campaigns launched) for my new segment. I’m the cross-functional marketer who owns the evolution of our company’s segmentation and personalization. It’s OK to start really high level, and get more granular over time. Before new Segment 2d existed, these consumers would just see more generic Segment 2 creative. Start with the defaults, and then work your way more specific. The best marketing experience is consistent across all channels. We discussed a few channels today that are within the control of the marketing and product teams: Retargeting, Landing Pages, Search, and Email. 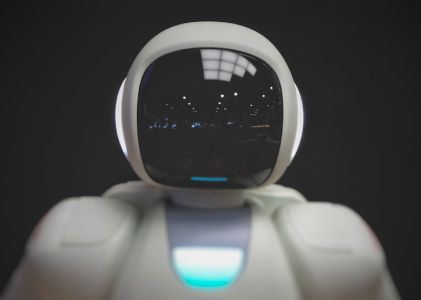 However, once you get these basics down, you can build a cross-functional personalization team and start working across more advanced channels. An example through the lens of the Partner channel: If you’re in the insurance space you might have a partnership with Bankrate. There may be certain sections of Bankrate’s website that you sponsor. Why not personalize your off-site content (on Bankrate) just as you would your on-site content (on your actual website)? What about your customer care center, when someone calls? Wouldn’t it be neat if your customer care team (via your CRM system) could see exactly what segment the consumer falls into? Your customer care team would immediately know which angle to take with the consumer on the phone. How about in-store? Is it possible to customize in-store based on data you already have? Consider sending direct mailers to existing customers with different color coding based on segment. When the consumer comes to your store, the in-store team will immediately know their segment based on the color coding. Did they bring the yellow mailer or the green one? It’s all about the people, build an amazing cross-functional personalization team. It’s all about innovation. At the end of the day, it’s all about crafting the best marketing experiences for your customers, both existing and prospective. Leverage today’s tips, and your customers will be so thankful for your attention to detail. Remember: Think in incredible detail during your planning/segmentation phase, and plan ahead for years of personalization work. However, once you get started, it’s ok to be scrappy and evolve over time. Most importantly, get started now! 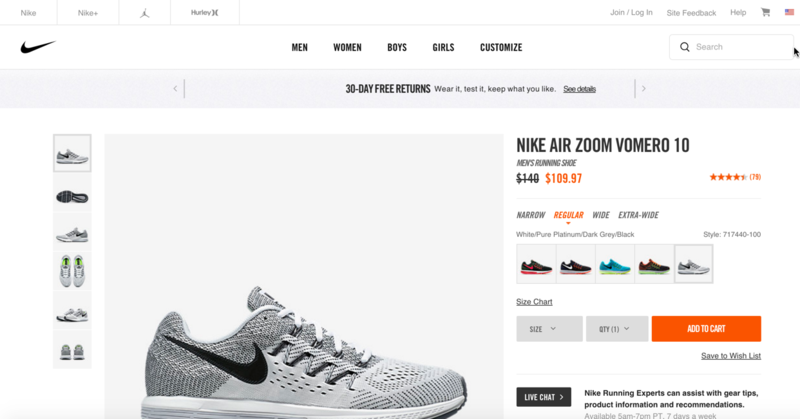 Disclaimer: Images included in this post are copyright © Nike (Vomero Retargeting and Landing Page), esurance (Google Sitelinks), Acquisio (Whitepaper Lead Form), and PPC Ian (PPC Ian Segmentation).